Chavanga Fish Blog: An overview of the fall season of salmon fishing on the coast of the White Sea in the Kola Peninsula. An overview of the fall season of salmon fishing on the coast of the White Sea in the Kola Peninsula. Autumn season for salmon fishing in Russia. Mid-September is always represents an interesting time. It is characterized by increased activity of resident prespawning salmon and the appearance of silver salmon in the river from the sea. Catching resident fish at this time is not very difficult. 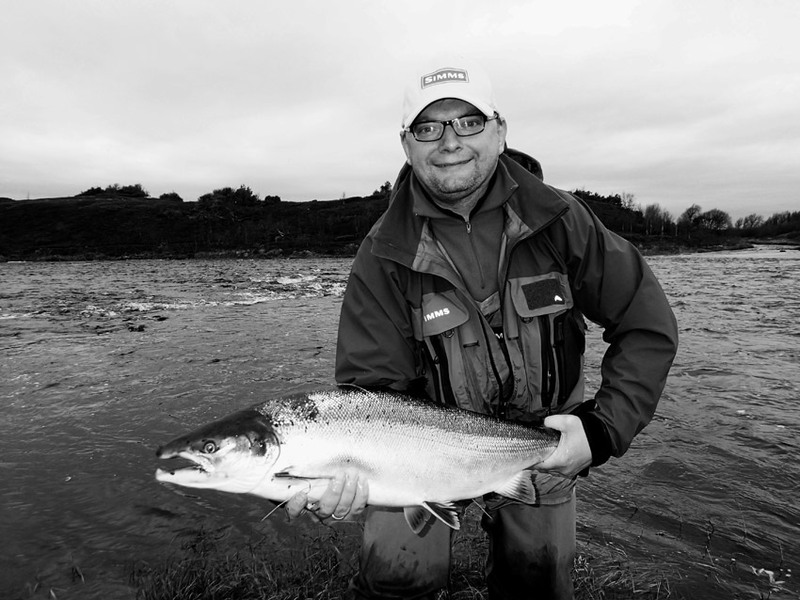 One can only note that its possible to land salmons of especially large sizes. Probably, this can be explained by the fact that most of the season, these large salmon were passive and did not come across on the hook. I think that the real size of the salmon population can be seen in the autumn during the spawning period, the period of increased activity of resident fish. The massive appearance of silver sea salmons in the river Chavanga usually begins in mid-September. But usually it depends on the state of water in the river, its level and temperature. On a rainy year appearance of fresh salmon does not stop for the entire season. So it was in 2012, when after a heavy rainfall salmon runs in the river was observed from mid-August. After a dry summer, when the water level in the river is low, salmon run begins gradually intensifying after the rains and with decreasing of temperature of the river water. To anticipate the maximum of sea salmon run in the river - too many factors must be taken into account. Therefore, based on the statistics of previous years, we can only assume the most successful weeks for silver salmon fishing. In the autumn this period takes 4 weeks - it lasts from mid-September to mid-October, when the season ends. Actual motion of salmon continues in late autumn and most intencive salmon run into the river can be observed in November. Therefore, the last 2 weeks of September and 2 weeks of October are valid for prime time of salmon fishing on the coast of the White Sea of the Kola Peninsula.